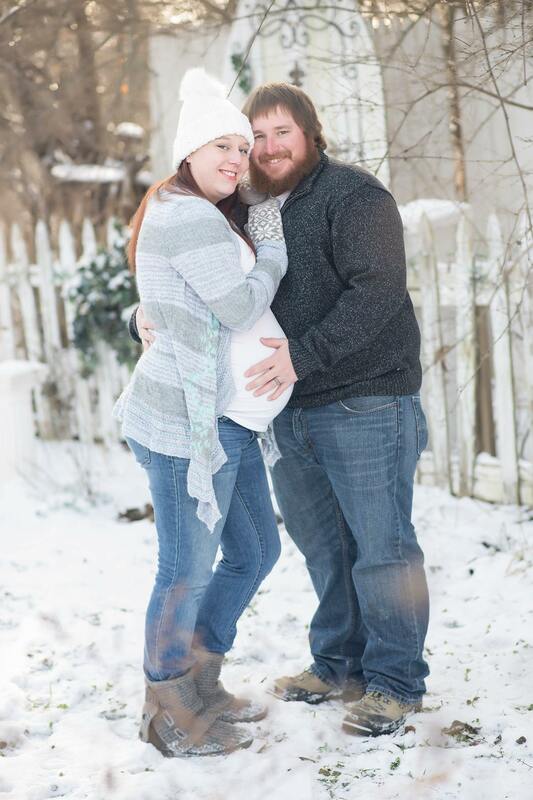 Home About The Family Baby Vetetoe Number 4: 38 Week Bumpdate! The final stretch of our last pregnancy is quickly coming to a close; welcome to our 38 week bumpdate, y’all! The last five weeks of our lives have been…eventful…to say the least. Grab a tea, pull up a chair, and prepare to be a little wowed by just how much can happen in such a short time. 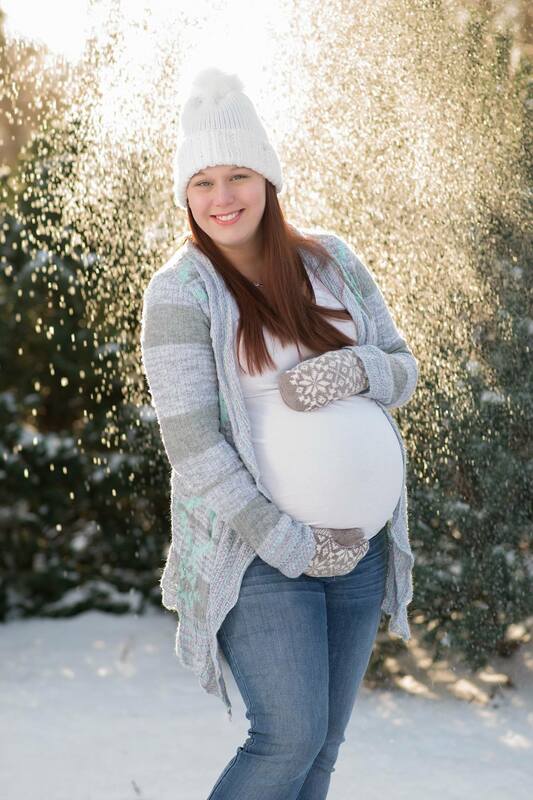 This is going to be long so enjoy the maternity photos scattered within. 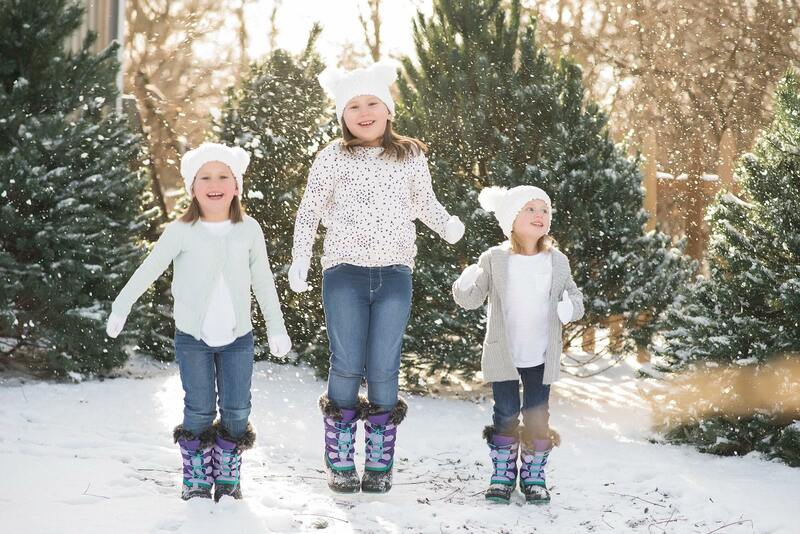 If you follow us over on Instagram then you know January was pretty lively for our family. We had several camper issues which spanned about a 3 week time-frame including but not limited to: frozen sewer pipes, broken sewer vales, broken sewer lines, a frozen fridge panel (meaning the outside regulator froze and the fridge inside didn’t work), a frozen shower hot water line, and a frozen water hose…none at the same time. We chose to take my husband’s company up on the offer of a hotel room and moved out of the camper for a few weeks until everything could thaw and be fixed all at once. This mama was tired of fighting negative temperatures and honestly, I am so glad we made the choice not knowing what else lay ahead. I didn’t share in my 33 week bumpdate about the challenges I’ve had growing our little man because we didn’t expect things to get worse. Since the beginning, this pregnancy has been a lot harder than our others. I told The Mister at around 10 weeks that I wasn’t sure I could handle carrying another baby and we both agreed this would likely be our last. I’ve had horrible food aversions, constant heartburn with reflux flares, and even fought GERD for about 2 weeks at one point. Throwing up acid in your sleep, even while sleeping elevated, is a whole new experience I wouldn’t wish upon anyone. To give a little back story to our current situation, I was born with a congenital heart defect (CHD), more specifically mitral valve regurgitation (or prolapse). It healed on its own as they often do but left me with an arrhythmia which sometimes acts up and causes heart palpitations. I have had this my whole life so it takes a severe one to really throw me off my day. 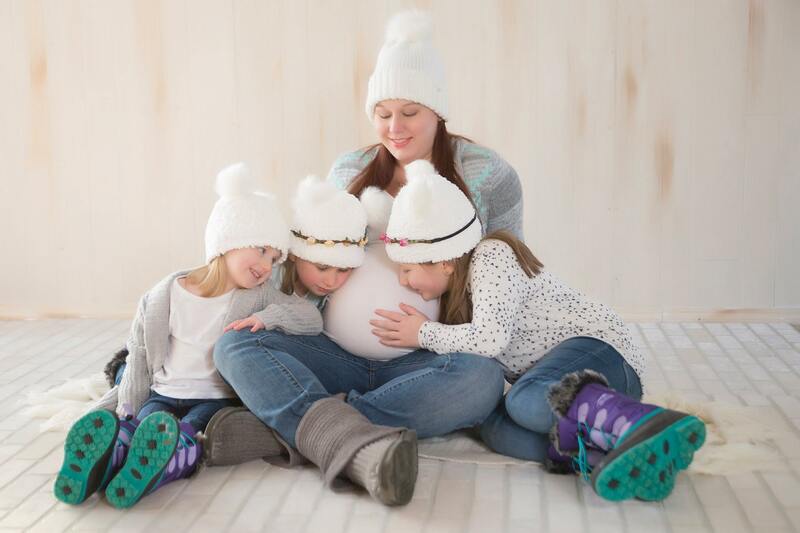 At about 32 weeks pregnant, I experienced a rather scary episode that shot my heart rate up to over 200bpm and had my blood pressure terribly high. I took the normal precautions: water, electrolytes, and laying down until my heart rate stabilized. I put a call in to the doctor to see if they needed me to go in or if they wanted me to continue monitoring my blood pressure and fetal movements at home. This isn’t our first rodeo so we have the basics to watch things but they did decide to go ahead and bring me in. A few hours of fetal monitoring later and I was headed home betting the rest of the pregnancy would go smoothly. Fast forward to my 36 week appointment where it was obvious I was having shortness of breath accompanied by an elevated heart rate and high blood pressure. They sent me directly across the street to the emergency room to be monitored to see if they could catch what was going on. Seven hours later they had run lab work twice, had performed two EKGs, couldn’t explain why my blood pressure and heart rate kept spiking with movement, and had done a CT scan of my lungs to rule out a pulmonary embolism (blood clot in the lungs). The EKGs both came back slightly abnormal so they setup a referral to the cardiologist and a follow-up with my OB/GYN. Since then, they’ve had me in for an electrocardiograph which came back abnormal, a 37 week fetal growth scan to see how Tito is doing, and an echocardiogram which was abnormal but hasn’t fully been discussed with me yet. Great news for Tito in all of this is that he’s looking amazing and right on track! He is definitely going to be our last biological baby which is eating me alive, but God has His plans and honestly, my body just couldn’t take another pregnancy. 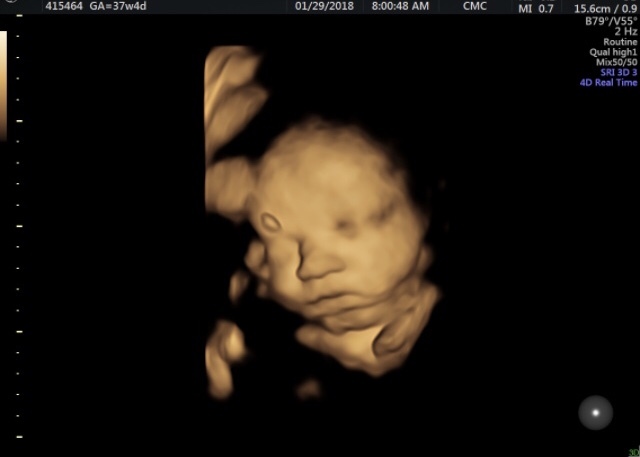 We’ll get to see his sweet face at 39 weeks when they induce labor and that is truly the prize at the end of this crazy train. 38 Week Bumpdate: The fun stuff! Movements: They’re getting fewer and farther between which is sad for us since he has been so incredible to watch. We never finally got a good video or photo of his foot sticking out or his knees rolling back and forth but we’ll always remember it. Baby’s Size: At his 37 week growth scan they estimated him to be 6lbs 13oz which is right around the 45th percentile for that gestational age. Labor Progress: Currently only 1cm dilated and hoping he stays put until this induction!